Love, gush, pleads; you need to read this now. That is my review. I was worried about the pretty dramatic opening of the story (Marcie's parents are in the midst of a divorce because daddy dropped the giant G-card and mommy is drowning in pills) and was thinking this might be one huge downer, but no...I was wrong. It isn't all cotton candy and rainbows, but this novel in verse is downright awesome and one scene easily leads to another, and before you know it, you're suddenly on the last page. After the big split, Marcie moves to New Hampshire with her mother and tries her best not to miss her boyfriend every two seconds. She doesn't exactly fit in at her new school so there is nothing left to do but miss the boyfriend. A boy. A cute boy who pays a little too close attention. Marcie walks that fine line between friend and maybe more than friends with the new boy. 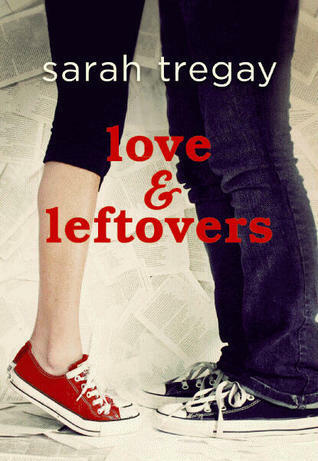 Love, betrayal, forgiveness; this book pretty much covers it all. And I'm not just talking about boys. 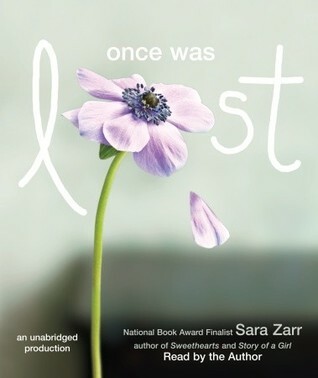 #1 reason why you should dive into a Sara Zarr audio book: because she narrates them herself! I fell in love with Sweethearts on audio last year and when I stumbled on this at the library, I snatched it up. Again, Sara steals her own show. Is that possible? Can you write an awesome story then up yourself by being the best voice actor for the job? Only Sara! She has a young voice with such heart and tenderness that it just can't be matched. This time, we get to know Sam, the pastor's daughter whose mother is in rehab, as she adjusts to the towns stares and a lonely summer. Her father is wrapped up in putting up an appearance and isn't around to be the supportive parent she needs him to be. When a girl from their church goes missing, the town, as well as Sam, basically goes into a daze. Everyone is dumbfounded and wants to help, but what do you do? You can only look in the woods so many times. As the girls parents grow desperate, so does Sam. She wants answers, she wants her mom to come home, and she just wants to go back to normal even if that normal was no way to live. Simply beautiful, simply Sara.